Check Out This Great Deal on #HPink! This Week Only, Buy One, Get 40% Off! I received compensation for this post as part of a promotional program with HP and MomSelect. Do you use a lot of ink at your house like I do??? I have really been going through a lot of ink lately especially now that school has started again! I am constantly printing my daughter's school papers, coupons, and now my own school papers. 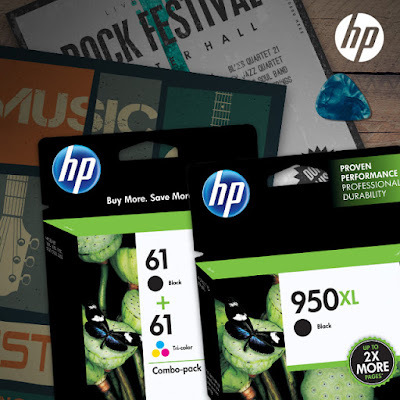 Replacing the ink cartridges can start to add up in the spending department. So that is why I am so excited to share with you a great deal on ink! It is ALSO available at retailers such as Staples, Best Buy, Office Depot, and Office Max! The only thing that makes me happier than finding a great deal is sharing that deal with other moms! So hurry and take advantage of this great deal because it expires at the end of the week!